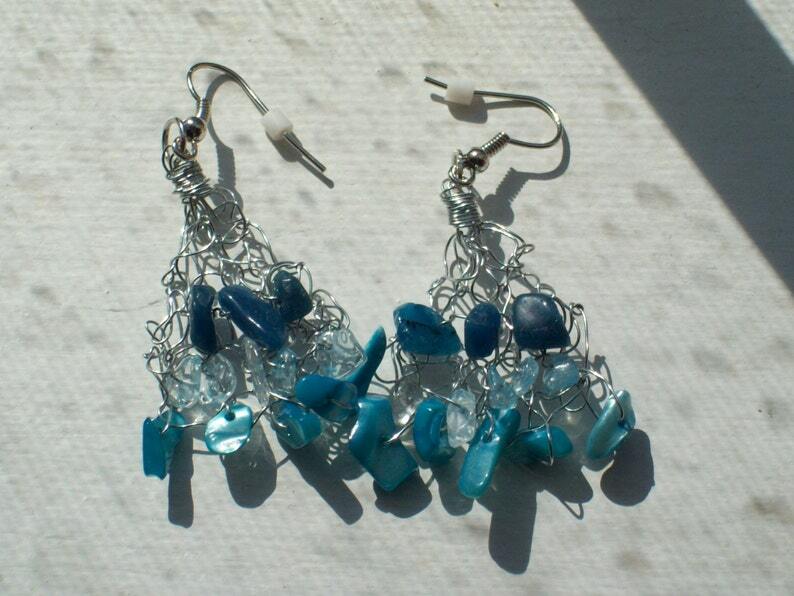 These earrings are handknitted by me with wire because I love to knit with ANYTHING! They are triangular in shape and are extremely lightweight. I added blue-colored stone chips. These earrings will go with anything...jeans, capris, dresses...I wore my prototypes with a nice summer outfit and people stopped me to ask about the earrings. They are truly unique and made with love. If you would like any other color, please convo me. I can also convert them for nonpierced ears.